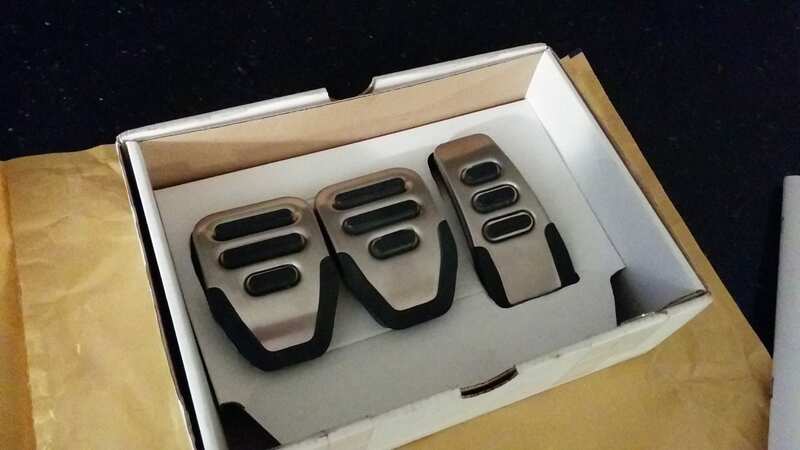 I picked up a set of RS4 pedals to go into the A4. Just the brake, accelerator and clutch (no footrest) and had a go at fitting them on Sunday afternoon. 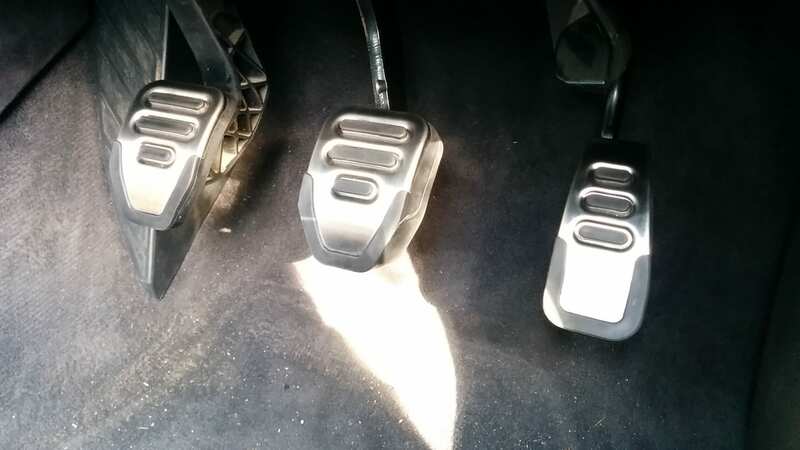 They are essentially a prettier set of covers that fit over the metal pedal bases replacing the original rubber covers. 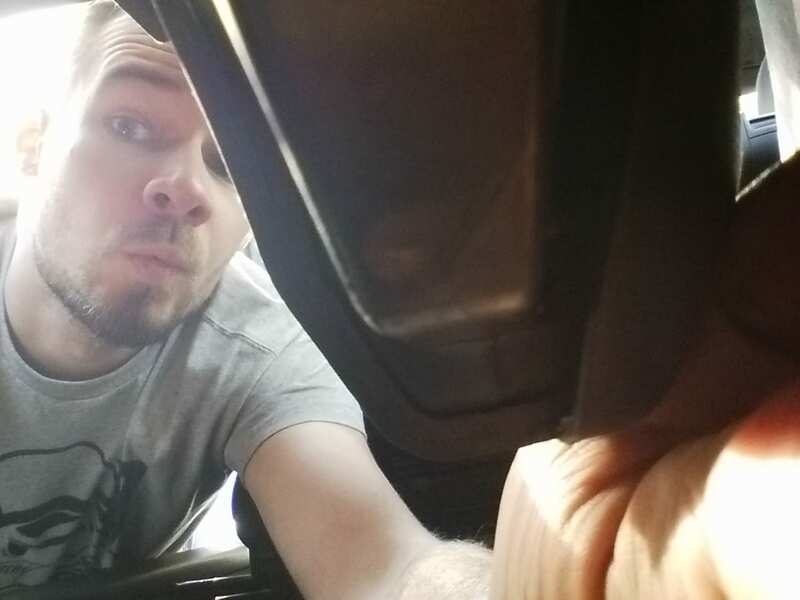 The advice I’d picked up from audi-sport was firstly to get as comfortable as possible as you’re going to be kneeling, hunched into your footwell for potentially several hours so if you have a gravel driveway or you’re just old, find something to kneel on. 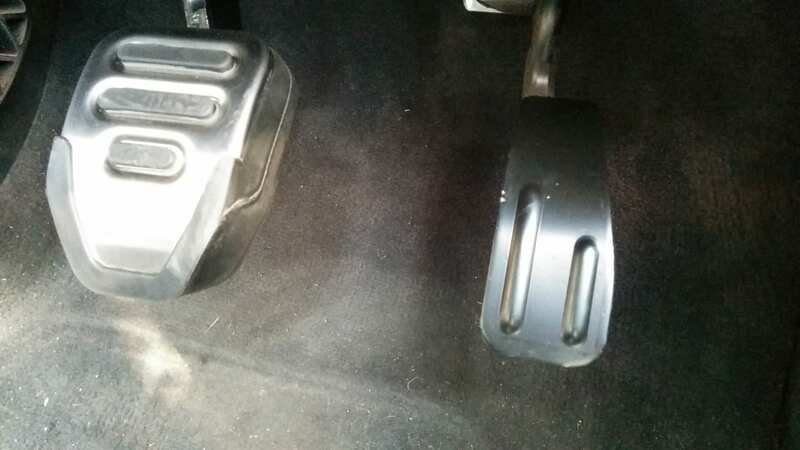 Second top tip was to leave the RS pedals in hot water to soften up the rubber and make them easier to fit. 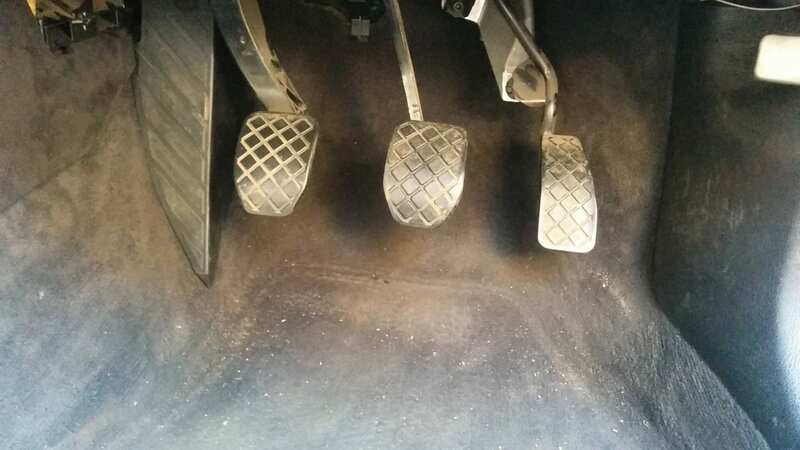 The fitting instructions also suggested that once the original rubber pedal covers were off, spraying the bare metal pedals with silicone lubricant should help too. 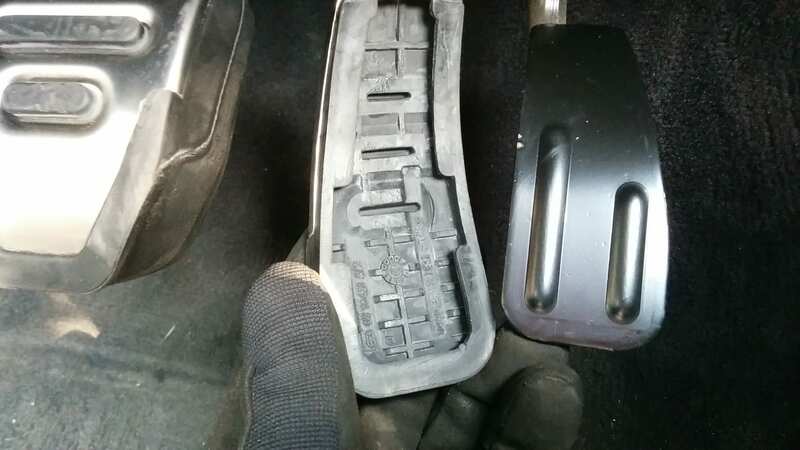 I had the heat gun handy to cook the old rubber pedals to a nice flexible state, and with a stubby flat-head screwdriver levered the bottom left corner off the brake pedal up. Then with gloves (’cause it was bloody hot) twisted the whole thing off clock-wise. Now load up your vocabulary of swear words because you’re going to need all of them to get the RS pedals on, this took AGES. Even with spraying the pedal base with silicone lube, and after leaving the RS pedal to soften up in hot water getting it to fit was a an absolute ball ache. 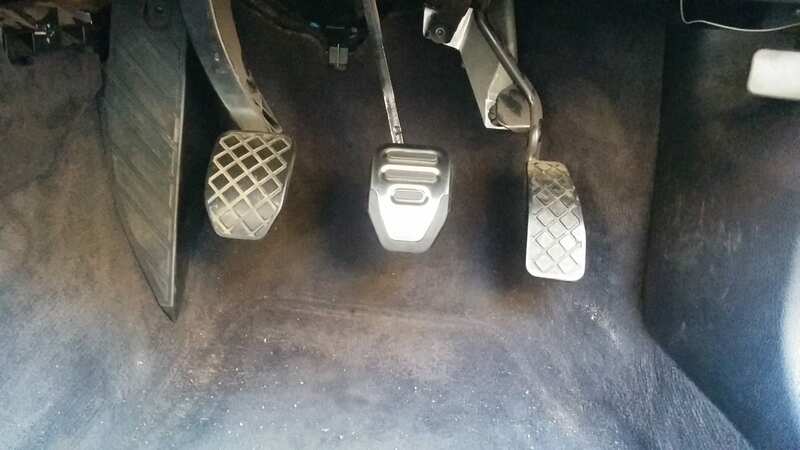 The technique that eventually worked was to give the back of the pedal a quick blast with the heat gun and hook it onto the metal base from the top, levering the rest of the rubber lip on with the stubby flat-head, working from the top until the lip was all the way around. And that’s as far as I got, I’ll have to do the others next weekend and update this post when I’m done. 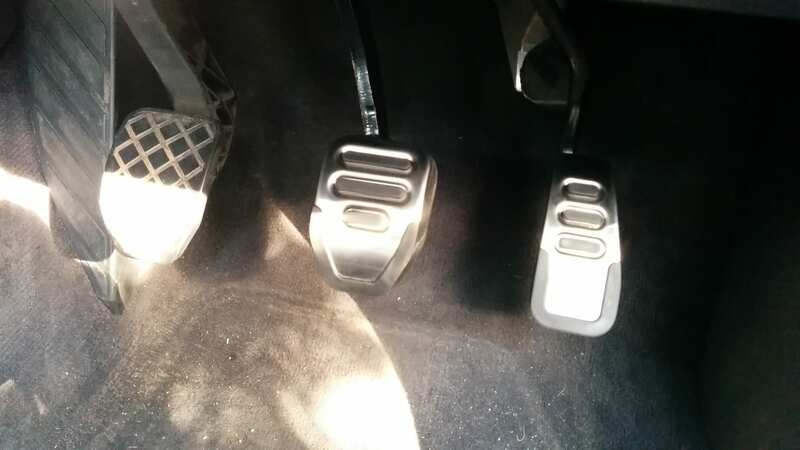 After figuring out a good technique doing the brake pedal the others went on much easier. 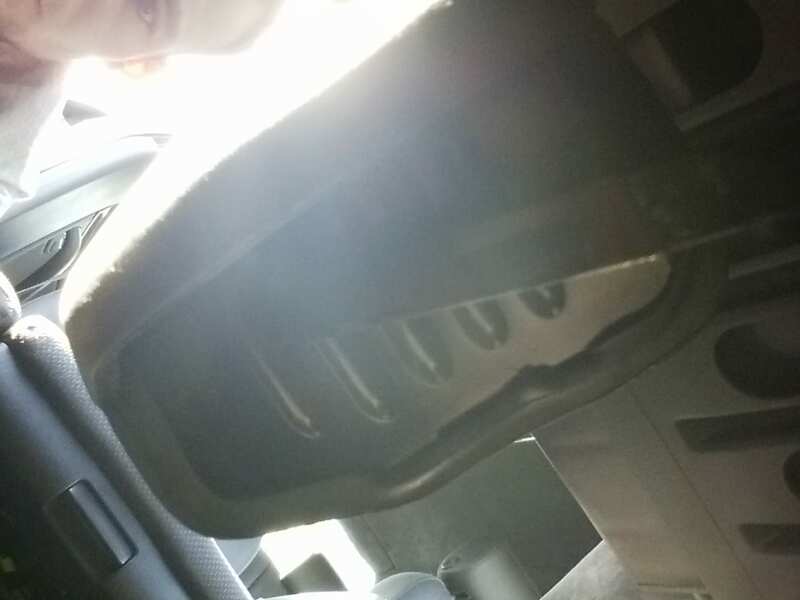 The accelerator pedal was a little tricky as there’s not as much space to work around, but lots of heat, persistence and swearing helped it along. The tricky bit. Getting this rubber lip all the way around the metal base. 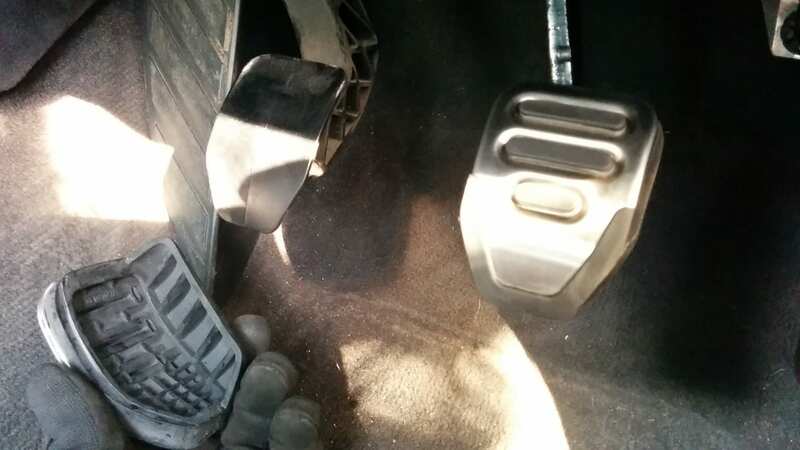 I’d missed a bit on the brake pedal, tut tut.